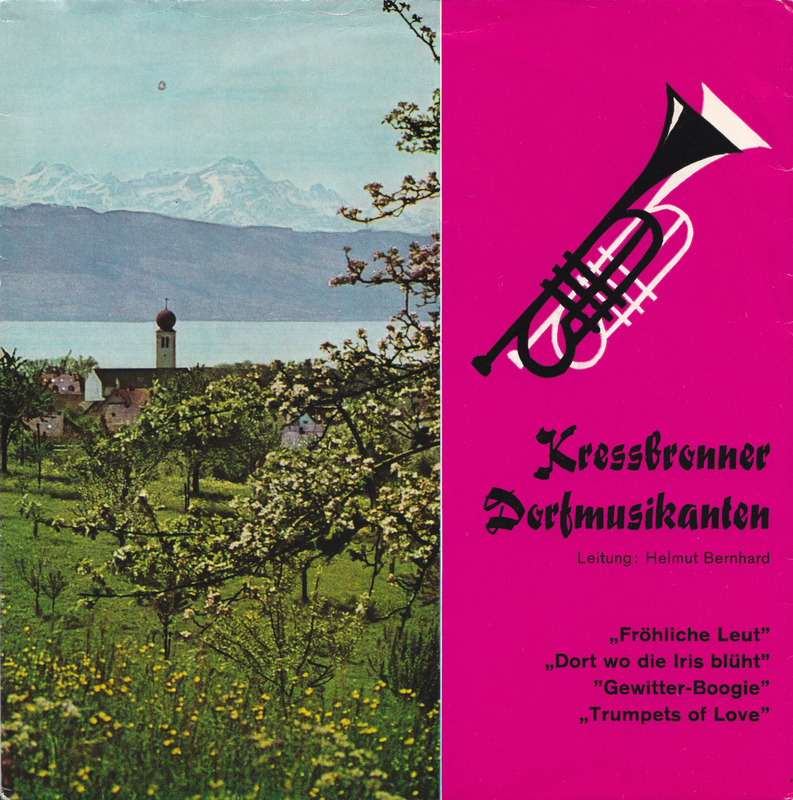 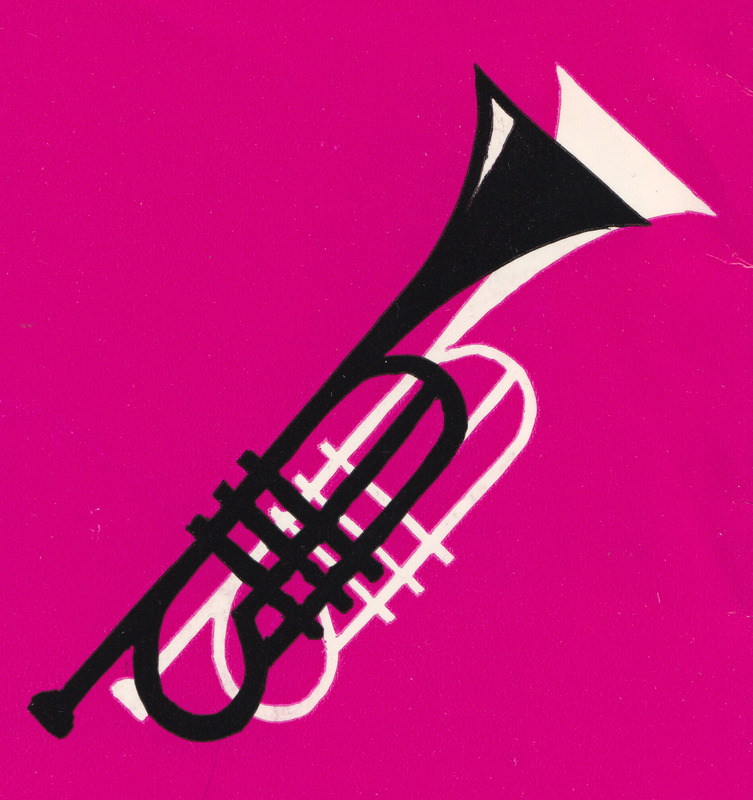 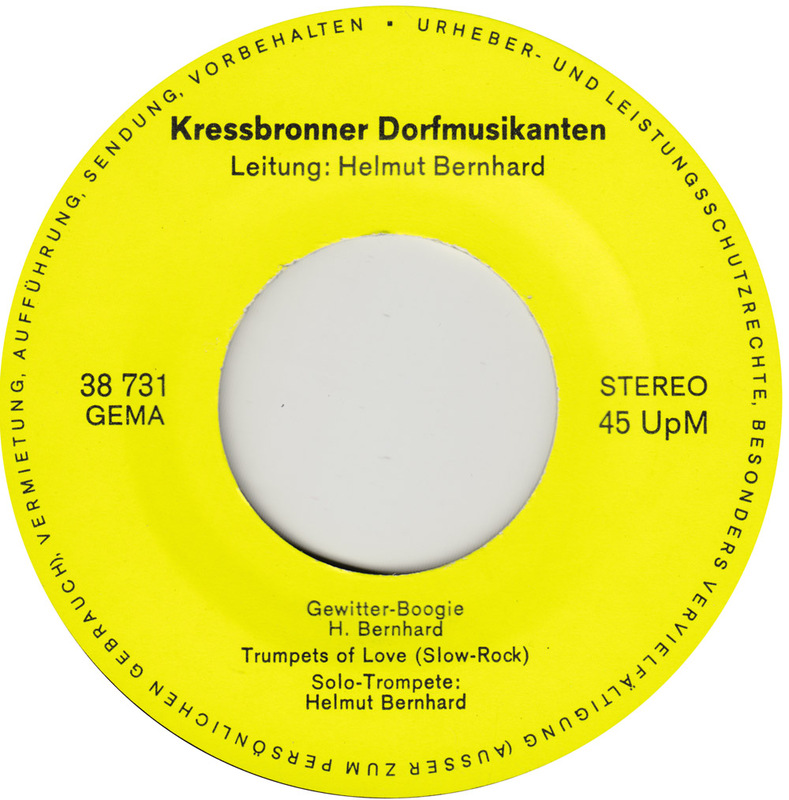 The Kressbronner Dorfmusikanten, a brass band from the village of Kressbronn, were “Kressbronns fröhlicher Exportartikel”, their jolly export item. 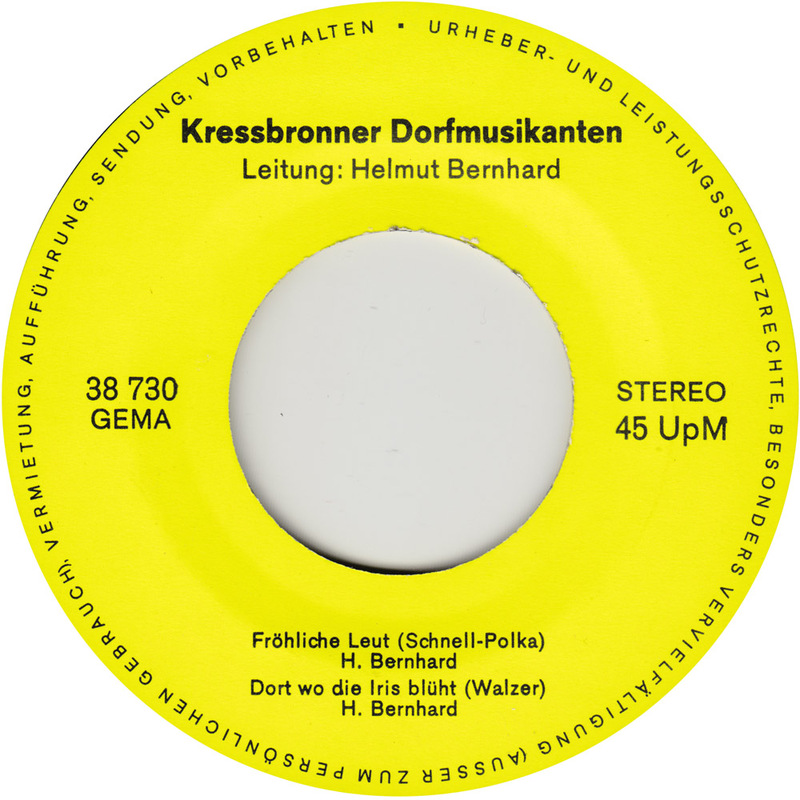 Kressbronn is located way down in the south of Baden-Württemberg, on the edge of Lake Constance. 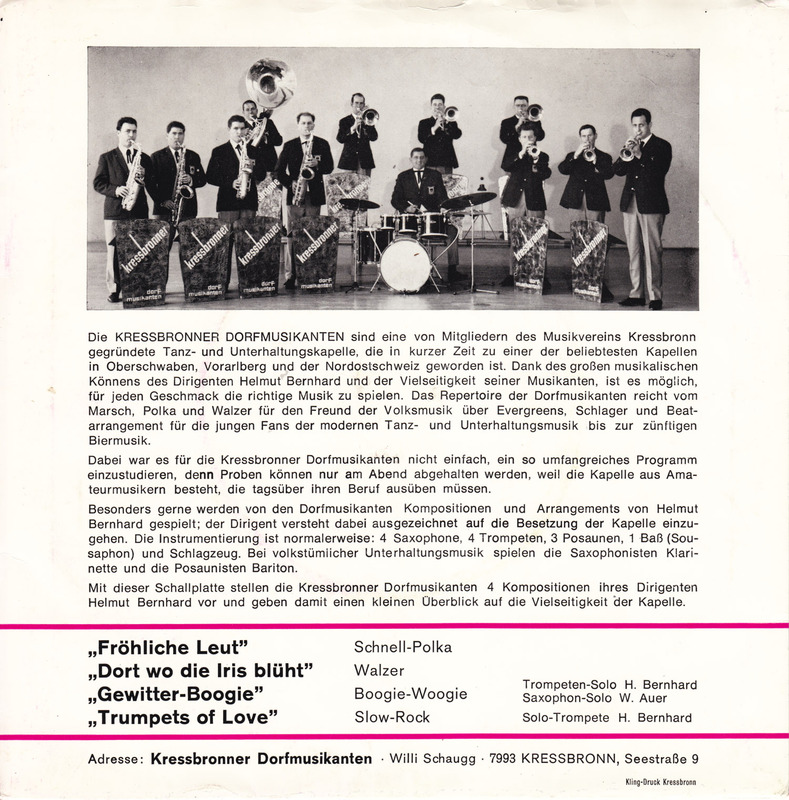 Initially formed for an appearance at the 1964 Berlin International Green Week, the group stayed together for 16 years.